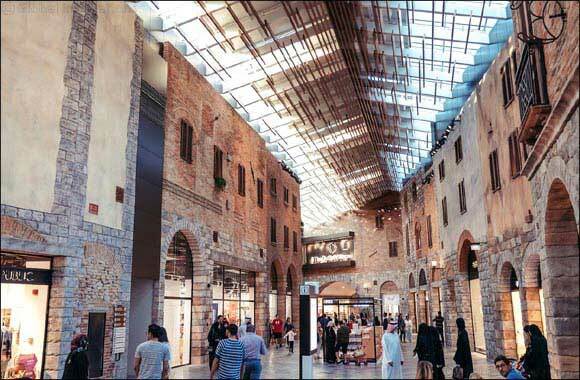 Dubai, United Arab Emirates, 15 April 2018: The Outlet Village, Dubai’s indoor shopping and leisure destination by Meraas, is set to host a one-of-a-kind Village Street Sale. Over two weekends, high-end outlets will further reduce their already discounted prices, offering unbeatable bargains on clothes, accessories and more. From 18 to 21 April and again from 25 to 28 April, The Outlet Village will transform into a plaza market, with retailers displaying their products outside the shops, inviting shoppers to walk around and discover the unique collections on sale. Participating stores will include Galeries Lafayette, Rodeo Drive, Hugo Boss, Michael Kors, Priceless, The Deal, Nike, Lamborghini, Godiva, Al Jaber Optical, Armani Exchange, Hamac, Kiwi Saint Tropez, Marc Cain, Juicy Couture, Superdry and La Martina, Mamas and Papas, Rivoli, Villeroy and Boch, Antonio Marras, I’m Isola and many more. The promotion also extends to F&B outlets, with Galeries Lafayette Le Gourmet offering children a free meal with every purchase of two main dishes. Complementing the Tuscan-style architecture of the destination, Italian-themed entertainment and a roaming carnival will create a unique ambience during the Village Street Sale.